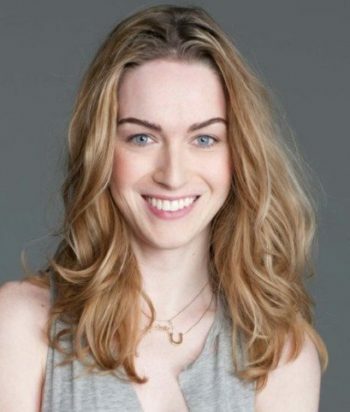 Jamie Clayton is an American actress and model. She is known for starring in the Netflix series Sense8. Clayton was born and raised in San Diego, California. Her father, Howard Clayton, was a criminal defense attorney, and her mother, Shelley, is an event planner. She moved to New York City to pursue a career as a makeup artist when she was 19. She is a transgender woman. In 2011, she was honored by Out magazine as part of their annual “Out 100” awards. In 2010, Clayton was the makeup artist and co-host on VH1’s first makeover show TRANSform Me. The following year, she played the recurring role of Kyla in the third season of the HBO series Hung. In 2012, Clayton played the lead role of Michelle Darnell on the Emmy Award winning interactive web series Dirty Work and the role of Carla Favers on the TV series Are We There Yet? She also narrated the audiobook for the young adult novel George about a young trans girl. Clayton starred as one of the eight main characters in the Netflix original television series Sense8 that premiered on June 5, 2015. In Sense8 she played Nomi Marks, a San Francisco transgender female political blogger and hacker. Clayton said that she was primarily interested in Sense8 because of the opportunity to play a transgender character that was written and directed by a transgender filmmaker, but that she was also a fan of science fiction and J. Michael Straczynski in particular. Clayton appeared in the 2016 film The Neon Demon, and the 2017 thriller film The Snowman.